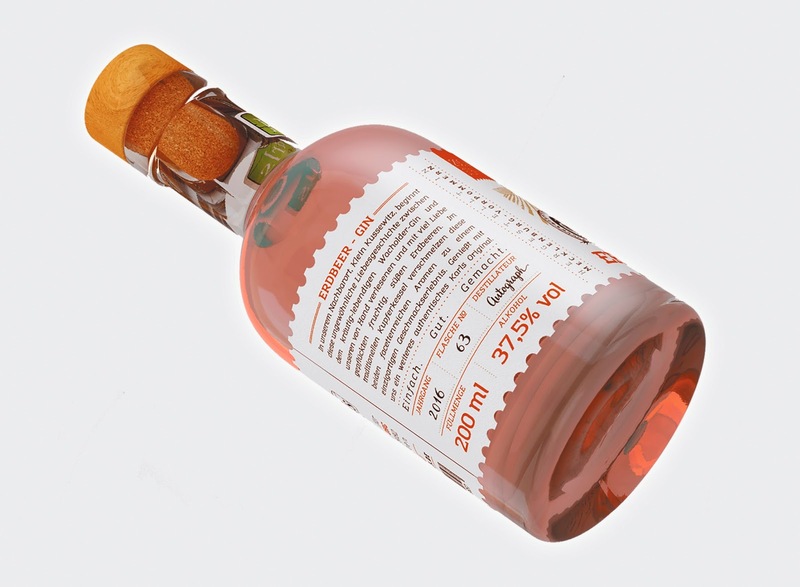 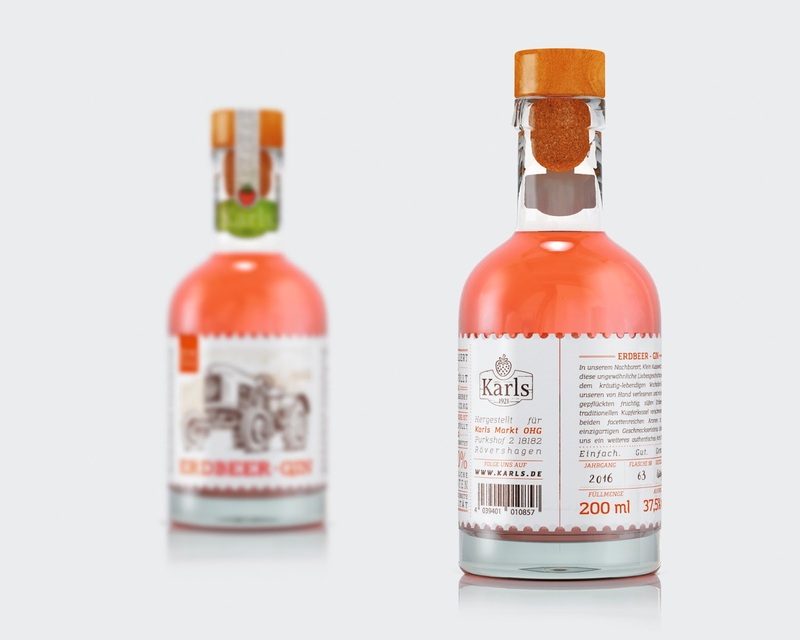 This unusual love story between the vigorously lively juniper gin and hand picked fruity-sweet strawberries starts in Klain Kussewitz village. 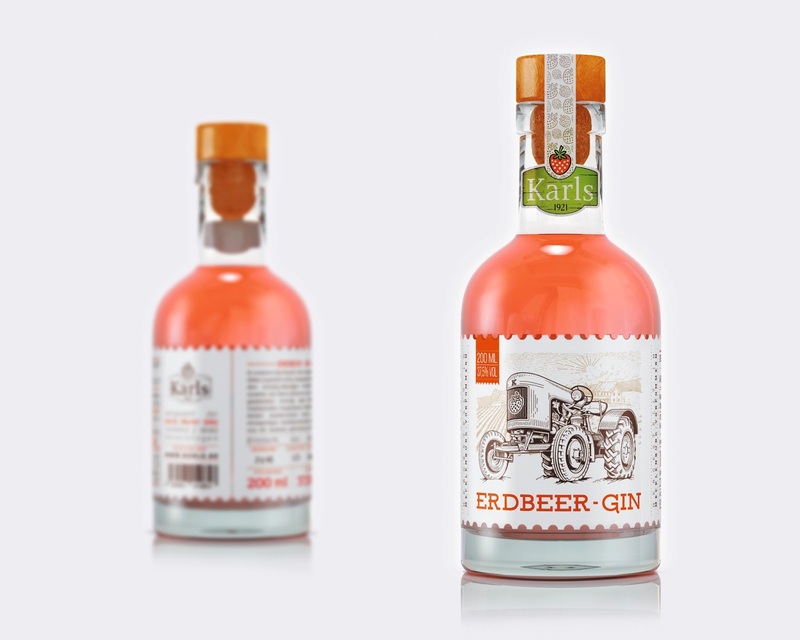 In The traditional copper kettle, these two flavors bland into a unique taste experience. 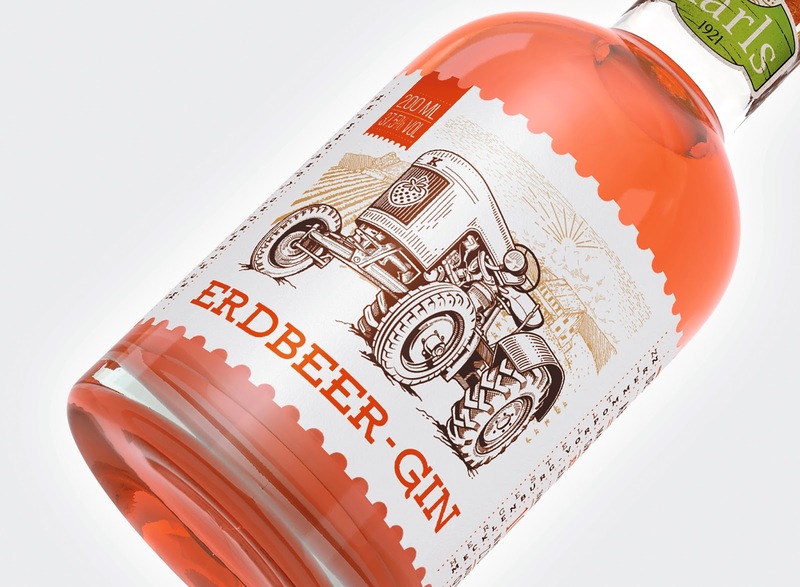 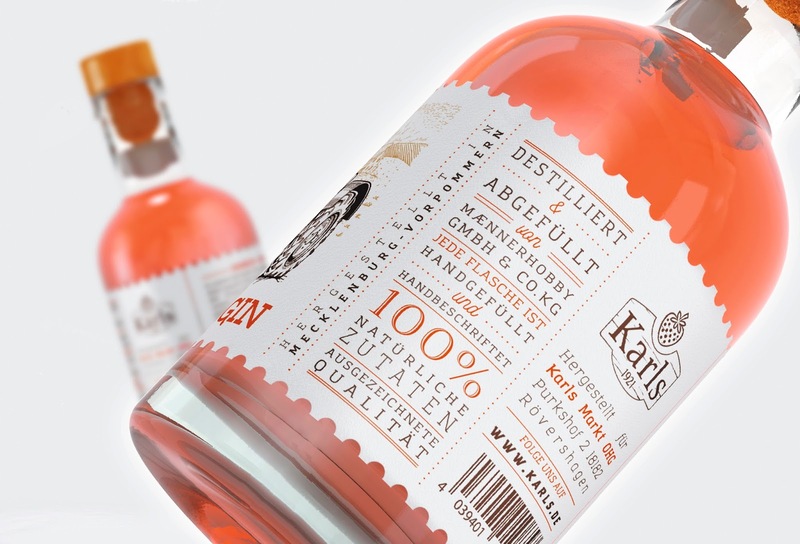 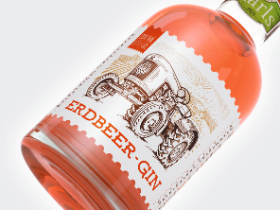 The label design for Erdbeer-Gin takes inspiration from vintage and authentic elements that allows reflecting the spirit of family and country life. 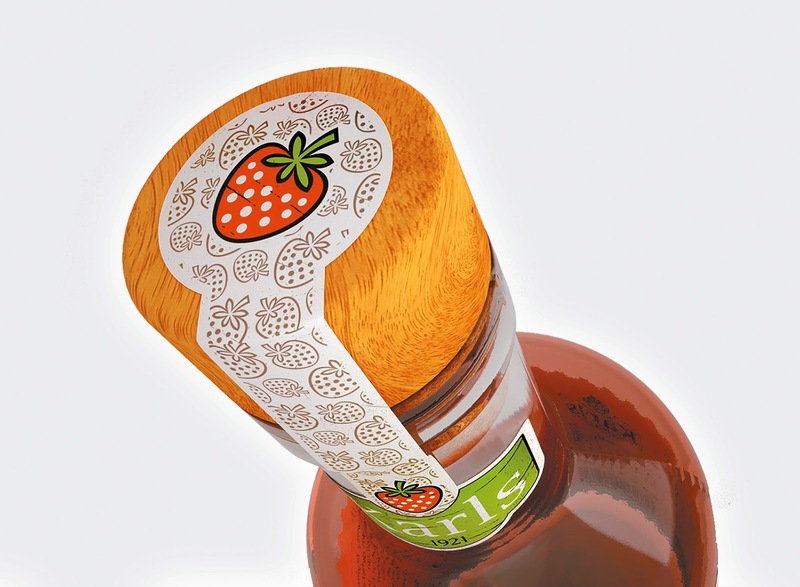 Wooden cork, manual filling and stamp perforation add vintage chic and keeping old traditions.